Among the most contentious topics currently being discussed in the world of sports nutrition is the idea of fat adaptation for improving performance of endurance sports. If carbohydrate depletion is one of the main causes of fatigue during extended exercise and our bodies have a very large reserve of fat stores waiting to be used, it would make sense to try and tap into fat stores as much as possible. On the other hand, a compromise in energy production (in the form of ATP) efficiency needs to be taken into consideration, when performance is an important aspect, such as during competition. During exercise, our muscles are primarily fueled by a mix of carbohydrates and fat, with protein contributing in minor amounts under certain circumstances. Generally speaking, carbohydrate becomes the predominant source of fuel as exercise intensity increases. If depletion of carbohydrate can impair exercise performance, it would seem logical that interventions aimed at increasing fat utilization over carbohydrate would be beneficial for endurance performance. However, it has been known for over 100 years that more ATP can be generated from carbohydrate than from fat, per given volume of oxygen. Basically, from an oxygen cost standpoint, it’s cheaper to burn carbs. This doesn’t matter much when we’re sitting or walking around, but when exercising at near-maximal intensities, the demand for ATP production increases significantly, which in turn pushes our energy producing systems (namely glycolysis for carbohydrates and Beta-oxidation/Krebs cycle for fatty acids) to their maximum capacity. Importantly, because fats have a pathway to generating ATP that requires oxygen, it becomes apparent that a shift in fuel utilization from carbohydrate to fat for high-output energy production may not be as great of an idea as it would appear to be on the surface. 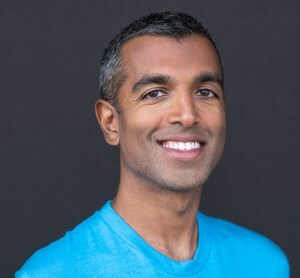 In light of studies conducted in the 60’s showing a metabolic advantage of carbohydrate, as well as muscle biopsy techniques to measure muscle glycogen levels, sports nutrition guidelines in the 1980s and 90s placed a very large emphasis on carbohydrate consumption before, during, and after exercise sessions. More recently, recommendations have shifted toward fueling for the work required, meaning consuming a higher carbohydrate intake around higher intensity training sessions and a lower carbohydrate intake around lower intensity workouts that would rely more on fat as a fuel. This method of manipulating carbohydrate availability to the muscles has gained popularity in part due to research over the past 15 years showing greater adaptations to exercise deliberately undertaken in a state of depleted glycogen. At the same time, a growing number of athletes and researchers have been looking into boosting the contribution of fat as a fuel during exercise in order to optimize endurance performance by following very low-carb, ketogenic diets. While it is clear that following low-carb diets can increase rates of fat oxidation during exercise, evidence of real-world performance improvements in trained athletes has yet to be shown. The purpose of this new study was to determine the effects of a three-week adaptation to a low-carb, high-fat diet during an intense block of training for world-class endurance athlete race-walkers. This was compared to a traditional high-carbohydrate diet, as well as a diet that used a carbohydrate intake periodized around training sessions, with some sessions undertaken with high glycogen stores and others with low glycogen. This study is unique because these dietary interventions have yet to be compared against each other in an elite athletic population. Endurance exercise is fueled by a mix of fat and carbohydrate. Dietary interventions to improve an athlete’s ability to burn fat have been postulated to improve endurance performance, although research on the subject is sparse. The purpose of this study was to determine the effects of a three-week adaptation to a low-carb, high-fat diet compared with two variations of high-carb diets on exercise metabolism and performance in elite level race-walkers. Many people may be unfamiliar with the sport of race-walking. To give you an idea of how fast these athletes are moving, imagine this: the world record 20 km performance is 76:36, which is an average pace of 6:09 per mile (or 9.7 miles per hour). The qualifying standard for the Rio Olympics was 84 minutes (8.9 miles per hour pace). Twenty-one elite male race walkers participated in this study, which took place during two training camps leading up to qualifications for the 2016 Summer Olympics. Eight of the athletes took part in two camps, providing a total of 29 data sets for the study. Athletes were living at the Australian Institute of Sport (AIS), where the study was conducted, and were supervised during all meals and training sessions. High-carbohydrate (HC) - 60-65% carb, 15-20% protein (2.1 grams per kilogram), 20% fat, with carbohydrate consumed before, during, and after training sessions. This ended up being about 8.6 grams of carbohydrate per kilogram of bodyweight per day. Periodized high-carbohydrate (PC) - the same macronutrient intake as HC, but periodized within/between days to alternate between low and high carbohydrate availability. High availability refers to sessions with high carbohydrate feeding during workouts to increase muscle glycogen stores, while low availability refers to sessions undertaken with low carbohydrate feeding leading to lower muscle glycogen stores, or after an overnight fast. This strategy most closely represents the current sports nutrition guidelines. 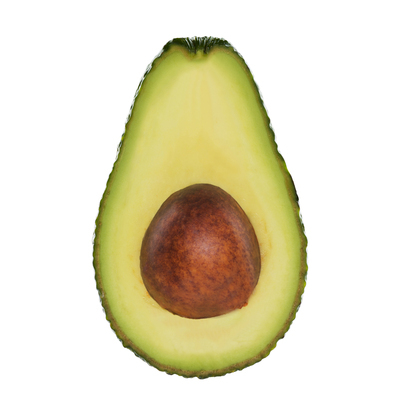 Low-carb, high-fat (LCHF) - 75-80% fat, 15-20% protein (2.2 grams per kilogram), less than 50 grams per day of carbohydrate. A breakdown of carb intake for the different groups is shown in Figure 1. Participants in the different groups were matched for key characteristics such as age and fitness level. In contrast to double-blind, randomized controlled trials, researchers in this study took a different approach to allocating the interventions. Participants were educated about the benefits and limitations of the different dietary treatments before arriving at the training camps, and asked to nominate their preference for each of the interventions. This is because they wanted the participants to believe they would be gaining positive benefits from the dietary interventions, particularly because at least one of the dietary interventions differed from the best current guidelines for sports nutrition and the participants were world-class athletes preparing for their competitive season. Training sessions throughout the three-week intervention were developed by coaches with the intention of blending typical training practices of competitive walkers along with opportunities to implement the desired dietary intervention (fasted low-intensity training where appropriate, etc.). Sessions were also monitored by the research team and recorded by participants in a daily log. All food and drink consumed during this study was provided and recorded by the research team, in accordance with the specific dietary intervention. The researchers did not want the athletes to experience large changes in body mass or body composition, and energy intake started at 40 kcal per kilogram of fat-free mass. Snacks or additional food were provided if athletes were hungry and/or had a loss of body fat over approximately 1.5 kilograms. Performance testing was done before and after the intervention, and included a mix of laboratory and field tests measuring VO2max, walking economy, blood lactate, fat oxidation, and 10 kilometer race performance. The authors hypothesized that the LCHF group would show improved rates of fat burning, but that this wouldn’t lead to any performance benefits due to the associated increases in oxygen cost of exercise. Twenty-one elite male race walkers consumed one of three diets during a three week intervention: high carbohydrate availability (8.6 grams per kilogram of bodyweight) consumed throughout the day, the same carb intake but periodized within/between days to alternate between low and high carb availability, and a low-carb ketogenic diet. Performance testing was done before and after the intervention, and included a mix of laboratory and field-testing. As expected, adherence to the protocols was good, and calorie and protein (2.2 grams per kilogram of body weight) intake was similar among groups (as shown in Figure 2). Training volume was similar across groups, though it was reported that athletes in the LCHF group found the workouts to be more challenging and they had a difficult time completing some of the workouts. Training quality during this study was analyzed and will be reported in a separate paper that is currently going through the peer-review process. Blood ketones were measured, and the LCHF group was in the state of ketosis, with resting ketone levels of 1.8 mmol/liter. VO2peak, which is a measure of the capacity for oxygen consumption (i.e. the “size of the engine”), increased in all three groups during the intervention. This is important because it shows that all participants benefitted from the training sessions. During a graded treadmill test (gradually increasing the speed every four minutes) that measured the economy of oxygen usage and perceived exertion, the LCHF group had higher values after the intervention, meaning there was a greater metabolic cost (they needed more oxygen to move at a given pace) and a greater perceived effort after three weeks of the LCHF diet. This was evident at both faster (14-15 kilometers per hour) and slower (12-13 kilometers per hour) walking speeds. No changes in oxygen consumption at those speeds were seen in the higher carb groups. At the same time, the LCHF group also showed a decrease in respiratory exchange ratio (RER), which indicates a greater reliance on fat for fuel instead of carbohydrate. Fat burning rates peaked at 1.57 grams per minute, which is over double the peak rates of fat oxidation for the other groups. Among the most important data generated from this study are the changes in racing performance, which is summarized in Figure 3. Participants completed 10 kilometer races pre- and post-intervention on the same track and at the same time of day. 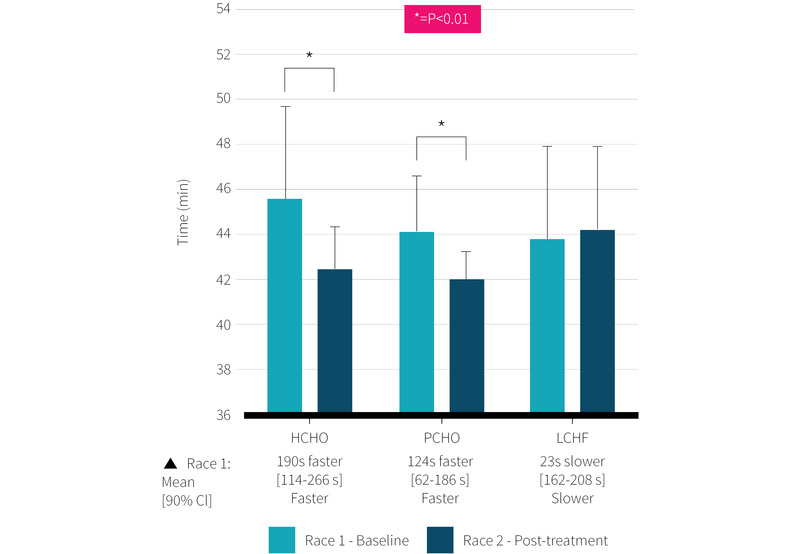 The HC and PC groups completed the post-intervention 10 kilometer race 6.6% and 5.3% faster, respectively, than the pre-intervention races, while the LCHF had no change overall. Noteworthy is the range of performance changes within the LCHF group, with individuals recording changes from 8.5% slower to 5.3% faster times. During the first phase of the study, the pre-intervention race was performed in fairly nice weather (17°C, low wind), while the weather for the post-intervention race was 20.5°C with slightly more wind. During the second phase of the study, the pre-intervention race was performed in hot weather (28°C with no wind), while the post-intervention race was 18°C with low wind. These differences were accounted for in the statistical analysis, and certainly can have an effect on the results. In addition to the 10 kilometer performance, a 25 kilometer race-walk was also completed before and after the intervention. This test was performed as a hybrid laboratory-field test, with 0-1, 12-13 and 24-25 kilometers using a treadmill in the lab, while the remainder of the walk was completed outdoors. Similar to the graded treadmill test, the LCHF showed an increase in fat utilization along with the expected increase in oxygen use. In contrast, the HC had a reduction and the PC group had a trend toward a reduction in percentage of VO2max needed to sustain the speed of the training session. This means they could complete the workout at a lower effort level, relative to their max, while moving at the same speed. While not statistically significant, there were trends for an increased heart rate for the LCHF group and decreased heart rate for the PC and HC groups from pre to post-intervention. LCHF was associated with drastically increased rates of fat oxidation, with levels more than double the other group’s. At the same time, LCHF also increased the oxygen cost of exercise at race-pace intensities, and had no improvement in 10 kilometer performance. PC and HC groups were able to reduce oxygen uptake at race paces, and improved 10 kilometer performance by 5.3% and 6.6%, respectively. This is the first study to compare the effects of a ketogenic diet (LCHF) with both a traditional high-carbohydrate diet as well as a periodized high carbohydrate diet in elite endurance athletes. While all three groups improved their maximal aerobic capacity (VO2max), the increase in the LCHF group was effectively negated by the increased oxygen demand when compared to the high carb group. Results of this research may be generalizable to the recreational athlete, though more studies would be needed on different populations and athletic activities. This is because key findings, such as an improved ability to burn fat on a high fat diet, as well as the increased oxygen cost that accompanies an increased reliance on fat during exercise would be expected given current knowledge of bioenergetics and exercise metabolism. At the same time, improved aerobic capacity would also be expected after three weeks of intensive training in all levels of sport. On the other hand, recreational athletes typically can sustain a lower percentage of the maximal pace during something like a marathon, for example, and so it could be conceivable (though not expected) that a greater reliance on fat oxidation wouldn’t be as detrimental during a long event. A strength of this study is that the metabolic and performance testing was set up as a hybrid of lab and field-testing. This allowed real-world 10 kilometer race performance to be studied as well as a lab-based graded exercise test, and a lab- and field-based 25 kilometer walk that included measures of oxygen consumption and substrate usage. A potentially strong criticism is that participants were not randomized or blinded to the intervention groups. Instead, they were given options to choose from after being educated about the potential benefits and limitations of each diet. This introduces some potential bias for both the athletes and researchers. However, it is important to remember that participants were elite athletes who volunteering to be included during the run-up to the Olympic games, and were asked to follow a diet that (at least in one case) runs contrary to current sports nutrition guidelines for best practices. This group of elite athletes included Olympic and World champions, with 22 of the 29 datasets coming from athletes who were selected for either the World Championships or Rio Olympics that same year. Lastly, the study was fairly small, and the study authors didn’t give details on power calculations. Together with the lack of randomization, and lack of pre-specified primary outcome, there are plenty of reasons to be uncertain of the study results. Improvements in maximal aerobic capacity were observed in all groups and were unaffected by diet intervention. A LCHF diet led to markedly improved rates of fat oxidation during exercise, though this was accompanied by an increased oxygen cost during exercise. A strong drawback to this study is the lack of randomization, though in this context it may have been a “necessary evil” in order to study world-class competitors during their competitive season. Results of this study are in line with previous research as well as the authors’ hypothesis. The three-week intervention period was chosen based on previous research showing changes in maximal fat oxidation occurring in less than a week, though other studies have suggested a longer period may be necessary for full adaptation to a ketogenic diet. The latter study did not show specifically that a longer time is needed for adaptation, but used athletes who had been successfully racing with a LCHF approach for at least six months. 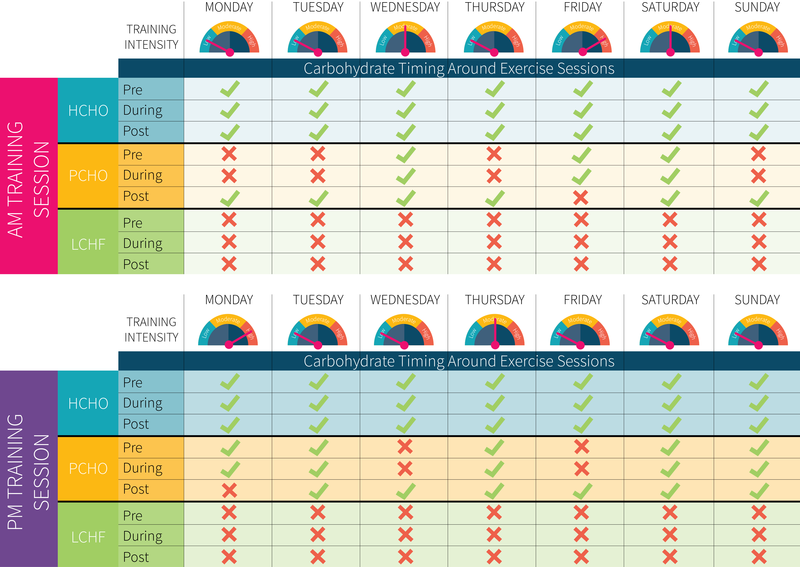 Three weeks of a periodized carbohydrate intake similar to the one followed in this intervention has also been shown to be beneficial (covered in ERD #18). The maximal rate of fat oxidation observed in the LCHF group was 1.57 grams per minute, which roughly doubles the maximal rates found with higher carb diets and represents a 2.5 fold increase from baseline values of 0.6 grams per minute. Some individual participants attained peak fat oxidation rates over 1.9 grams per minute, which are among the highest values to be reported in the literature. Previous research has found rates of 1.5 grams per minute in cyclists following a five-day LCHF diet while another reported the same levels after cyclists were following a four-week ketogenic diet. During this three-week intervention, all diet groups were able to improve their aerobic capacity by 3-7%. In spite of this improvement and the increased ability to burn fat, the LCHF group did not see an improvement in 10 kilometer racing performance, while the two other groups did. There appears to be several potential reasons for this difference, most notably the increased oxygen cost of making ATP from fat compared with carbohydrate. This difference has been observed for over a century. While it is often claimed (correctly) that fat yields more ATP per molecule than carbohydrate does, it also requires a greater amount of oxygen to do so. This becomes very important when we consider that most, if not all, elite endurance athletes have a high aerobic capacity (VO2max), and that running economy (the relationship between oxygen consumption and running speed) is better correlated with performance than VO2max. In contrast with LCHF, the HC and PC group had a reduction in the relative oxygen cost of walking, meaning that they could walk at a lower percentage of their max for a given speed. This is not the first study to show athletes have improved oxygen efficiency with a HC diet. At lower intensities, the increased oxygen cost from fat utilization is not a problem. As exercise intensities increase, however, the body cannot compensate by using additional oxygen. This results in reduced ATP production and limited exercise capacity. Several often-cited studies of LCHF in high-level athletes have used exercise intensities that are markedly lower than race-pace. Because of this, results of those studies should not be extrapolated to real-world endurance performance benefits. Somewhat unexpected was the lack of difference between the HC and PC group. Although the study under review lasted only three weeks, other recent studies have shown improvements with a PC compared with HC approach. Several other studies have shown that carbohydrate manipulation strategies, including training after an overnight fast or in a glycogen-depleted state, can promote mitochondrial biogenesis and fat oxidation, while improving exercise performance, compared with a consistently high carbohydrate diet. These findings are largely in agreement with the available research showing that a LCHF diet can increase the rates of maximal fat oxidation, and that this increased reliance on fat comes with a greater oxygen cost of exercise at race-pace intensities. Should I try LCHF if I do lower-intensity, longer duration activity? Possibly, but probably not during competitive events. This is because no matter what distance the race is (even 50 miles and beyond), the athlete will be going at their highest sustainable pace. Regardless of how fast that pace is, oxygen becomes a commodity and using a greater amount of oxygen to travel a given speed is not efficient. It could be argued that the greatest benefits of LCHF would be for athletes who do not tolerate large amounts of carbohydrate during races and could potentially eliminate a great deal of GI distress during long races. Would it be more beneficial to follow LCHF during training and then use a high-carb intake on race day? No. Upregulating your fat oxidation via LCHF training and then fueling with carbohydrates when performance matters most sounds good in theory, but the physiological adaptations to LCHF that many people assume includes glycogen sparing would be more accurately described as a downregulation of carbohydrate metabolism. This is due to a reduction in the active form of pyruvate dehydrogenase, a key enzyme involved in carbohydrate metabolism. This means that regularly including at least some high-carbohydrate training sessions would be a good idea in the weeks and months leading up to an important race. Three weeks of a LCHF ketogenic diet in elite race walkers led to marked increases in fat burning capacity during exercise, though these adaptations did not improve exercise performance, likely due to the increased oxygen cost of exercise that accompanies a greater reliance on fat. In contrast, following a HC or periodized HC diet was able to improve race outcomes and oxygen efficiency.